It seems Facebook is taking the new proposition seriously. In July, TechCrunch reported that David Marcus was leading the charge. Now, the company is putting the rest of its high-caliber team together to explore potential use cases. One thing tempering that sentiment is Facebook’s recent data scandals. Facebook has attempted to both respect data privacy and sovereignty, while also trying to maintain a profitable bottom line. Putting “power back in the hands of the people” sounds good on paper, but would mean that Facebook may have to sacrifice control and profitability. 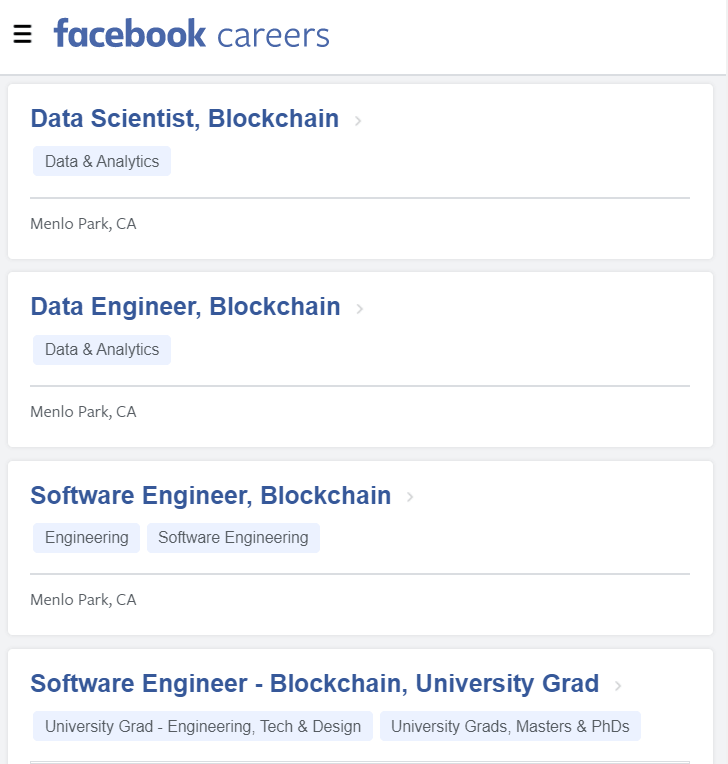 And, even in the midst of the crypto market downturn, Facebook appears to be willing to make investments into developing blockchain tech. As a company, Facebook’s bankroll could lead to innovation in the segment, exemplified by Facebook’s purchase of Oculus for a minuscule $2 billion. Facebook is not the only Fortune 500 tech company looking to stake a claim in blockchain development. Amazon and Microsoft have both developed blockchain products in Q1 and Q2 of 2018. Perhaps these established tech giants can smooth out the useability issues and bring blockchain to the masses. Or, maybe a nimbler contender like Coinbase will pave the way.